Clear-Vis is a high-viscosity blend of guar gum formulated from dry free flowing particles for easy and quick dispersion in drilling applications. The fluid can be prepared with fresh or salt water: in fresh water this product provides the best performances, however in some areas where salt water is cheaper than fresh water and ready available, Clear Vis may be a solution. 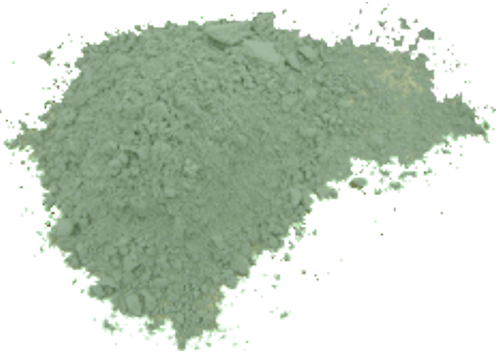 Clear-Vis has eight to ten times the viscosity-building capacity of bentonite. This means that Clear-Vis drilling fluid has 70-90% less solids than conventional drilling fluids whilst providing the same viscosity; reducing the risk of formation damage. the project, its removal during well development is much easier than with conventional drilling fluids – minimising formation damage. Clear-Vis mixes well in salt or brackish water and no change in the mud system is needed when saline water is encountered during drilling. Clear-Vis encapsulates or coats clays to help prevent typical problems which occur when certain clays and shale strata are wetted. This helps to obtain clean, uniform gauge holes. Clear-Vis forms an inhibitive drilling fluid which helps prevent clays and shales hydrating and dispersing within the drilling fluid – helping to preserve drilling fluid samples. The lower density Clear-Vis drilling fluid significantly reduces fluid friction in the circulating systems. Thus there is increased energy in the drilling fluid at the drill bit where it is needed – ensuring optimum penetration rates. Abrasive sands and other cuttings circulating in the mud system can obscure samples and, more seriously cause abrasive wear on mud pump sleeves and other parts. Clear-Vis’s lower gel strength allows these cuttings to settle faster. Add slowly and uniformly through a high-shear venturi type hopper. Continue to agitate/circulate until Clear-Vis is fully dispersed, if product is fed too quickly, lumping or balling will occur. A Marsh funnel, cup, and mud balance to measure viscosity and weight of the mixed fluid is useful. The pH of the drilling fluid should be checked periodically with a pH meter or test paper. The viscosity produced by a given amount of Clear-Vis in water can be affected by several conditions such as the temperature, pH and the salinity of the mix water. The higher the temperature of the water, the more Clear-Vis is needed to achieve a given viscosity. Most natural ground water has a pH in the range of 5.5 to 8.0. Within that range, Clear-Vis mixes readily. After mixing, the drilling fluid’s viscosity should be measured with a Marsh funnel. At that point, adjustments can be made either by adding more Clear-Vis or more water. Normally only small amounts of Clear-Vis will be needed to account for variations in salinity, pH or water temperature. The higher the water’s pH, (more alkaline) the longer the hydration time and the lower the viscosity will be from a given amount of Clear-Vis. Mixing with saline water rather than fresh water will also result in a lower viscosity Clear-Vis fluid. Occasionally the constituents of the water used to mix Clear-Vis can have an effect on the mixing rate and the final viscosity of the drilling fluid. An example would be when drilling fresh cement grout, where the cement grout contaminates the frilling fluid, causing the pH to become extremely high. In this case, the Clear-Vis will not hydrate and the drilling fluid will gain no viscosity. If this occurs, the Clear-Vis drilling fluid must either be lost or the pH reduced. This can be done by adding an acid, such as Citric acid. If the mix water is high in iron— more than 3 ppm (3 mg/l)—it can form a complex iron compound with the Clear-Vis, resulting in a fluid with less than normal viscosity. Treating the water with either small concentrations of calcium hypochlorite powder (0.2Kg/m3 mix water) or 5% sodium hypochlorite (2Ltr/m3 mix water) will result in 100-ppm chlorine solution. This will disinfect the water and oxidize dissolved iron. A third condition involves chemical constituents such as heavy metals which can cause Clear-Vis drilling fluids to gel or can inhibit hydrating of the Clear-Vis drilling fluid. Here, the system must be chlorinated as described above to oxidize the metals if present. It must also have the pH lowered if necessary by acid treatment as described earlier. In general, the mix water should be chlorinated if any of the above constituents are suspected to be in the water, or if the mix water is from untreated surface source. Before mixing and during drilling, the pH should be maintained near neutral. 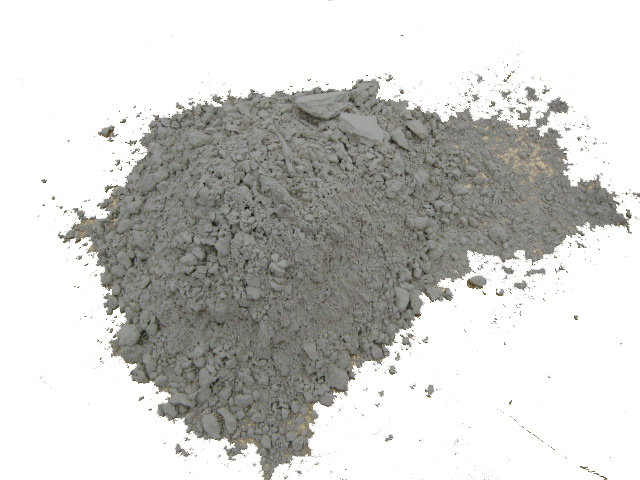 The viscosity-building properties of the polymeric additive, Clear-Vis, are about 10 times those of bentonite for the range of Marsh funnel viscosities used for water well drilling. 4 chlorine residual. The chlorine should not exceed approximately 200 ppm, as Clear-Vis drilling fluid is broken (loses viscosity) at chlorine content of approximately 500 ppm. The length of time Clear-Vis will maintain a given viscosity under typical conditions is shown in the table above (Typical Clear-Vis viscosity over time). At high temperatures, Clear-Vis tends to “break down” or lose viscosity more quickly. This is due in part to the growth of certain microorganisms that are most prolific at 80o to 120o F (27- 49o C.) Enzymes produced by these organisms in addition to those inherent in the Clear-Vis can accelerate the breakdown of Clear-Vis. Where such microorganisms or soil bacteria are likely to be present, precautions should be taken. If the mud pit is dug, it should be lined with plastic. Chlorinating to 100 ppm should disinfect the mix water. If Clear-Vis fluid has penetrated into a very permeable formation, it will temporarily reduce the well’s efficiency. To remove this fluid, the well should be developed by high velocity horizontal jetting with 1000-ppm chlorine solution to break down the Clear-Vis. Clear-Vis is packaged in 25Kg plastic bags, 40 bags per pallet. All pallets are plastic-wrapped.